Born in the United Kingdom, Layla Kayleigh is a well-known American television personality who relocated to the United States of America in a bid to chase her dreams in front of the camera. After a lot of hard work and perseverance, Layla has succeeded in taking the States by storm and has hosted a number of TV shows, including The Feed segment of G4’s Attack of the Show! and the MTV reunion shows Teen Mom and Teen Wolf. She also co-hosted the reality television dance competition, America’s Best Dance Crew, where they go in search of untapped dance talent in different cities across the United States. Layla has had the opportunity of appearing in a number of magazines, among which is the international men’s magazine, Maxim, to promote her projects and shows. Born as Zara Layla Kayleigh on the 26th of January 1985, in London, the TV host convinced her parents to address her by her middle name, Layla, after the song released by the blues rock band, Derek and the Dominos. At the age of 12, little Layla Kayleigh had to live all by herself after her single mother travelled to the United States in a quest to secure American citizenship for both of them. It was actually her choice to stay behind and according to her, she never told anyone that she was alone because she was afraid of being taken away by social services. Layla was a student of St. Marylebone School, a girls’ secondary school located in Bakers Street, Marylebone, London. Because she was much more intelligent than her mates, she was allowed to skip two classes in the English school system, consequently graduating earlier than her mates. Moving on to the university, she studied Psychology major with a minor in English Literature and graduated with honours. Layla also studied drama and dance at Sylvia Young Theatre School. At the beginning of her hosting career, Layla Kayleigh once hosted MTV2 in Britain, the football halftime show on ABC, in addition to her work as a correspondent for Current TV. However, she was relieved of the latter after she did an interview and photoshoot with Maxim Magazine. She has also made an appearance on MTV’s reality television show, Punk’d, and hosted “The Feed” segment of G4’s Attack of the Show!. The lady host has been on Fox Sports Net’s The Best Damn Sports Show Period and has also been working as a reporter on both entertainment and sports news at The Insider. Layla Kayleigh has equally made a guest appearance on the Fox News Channel show Red Eye w/ Greg Gutfeld. On 26 January 2008, the show America’s Best Dance Crew premiered on MTV with a live casting special. It’s first season kicked off on 7 February 2008 and Layla was there, working as a backstage correspondent. In addition to this, she also works as a co-host on the show, precisely as the road correspondent who searches for talents across different cities in the US. She announced that she would be leaving the G4 television channel during the 16 March 2009 episode of Attack of the Show!, as a result of her pregnancy. Layla also stated that she would be taking an indefinite break to be a stay-home-mom. By the second quarter of the following year, she appeared as a panel guest on the TV political talk show, Hannity. She has also worked as a correspondent for the TV Guide Network. Layla Kayleigh became the host of MTV’s special reunion shows, Teen Mom and Teen Wolf in April 2012. Two years later, she started working in Vh1 as a weekly correspondent on Big Morning Buzz Live but the show was later cancelled in August 2015. The popular TV host was once married to Steve Covino, co-host of The Covino & Rich Show on Sirius XM Radio. They met over the airwaves while Layla Kayleigh lived in Los Angeles and Steve resided in New York. The duo were friends for seven years before they eventually started dating. 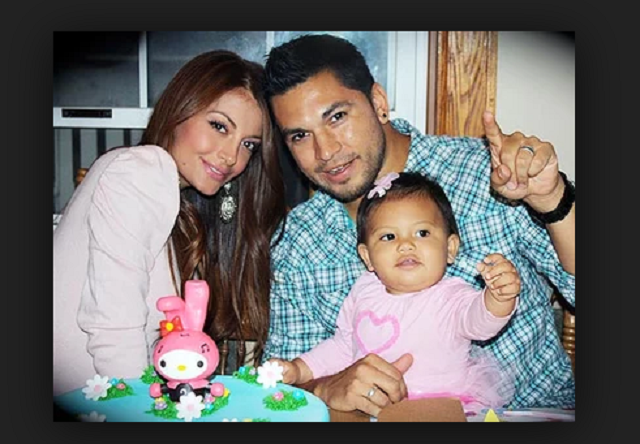 On the 2nd of November 2009, they welcomed a daughter named Melody Rain Covino, celebrating her naming in her father’s hometown, Union, New Jersey. The couple decided to make things official and got married in an intimate ceremony which took place on the evening of 9 October 2011 in the Graceland Chapel, Las Vegas, Nevada, with their little daughter as the flower girl. According to Layla Kayleigh, the wedding was unexpected and impromptu. Steve proposed to her in Vegas and following her acceptance, he urged her to have them get married that same night and she agreed too. Present at the occasion was just the couple and their little girl who walked down the aisle with her mom. Because there was no prior arrangement, Layla had no wedding dress so, she simply grabbed a white dress from her suitcase and off she went to the chapel. Although she never expected to get married the way she did, the TV personality has described her wedding as the best time ever. Unfortunately, her marriage to Steve ended after six years as she filed for divorce in December 2016. Layla is, no doubt is a perfect combination of a beautiful face and a ravishing, well-shaped body. She stands at 5 feet 3 inches and has a body measurement of 34-23-37 inches (bust-waist-hip respectively). She also wears a bra size 34D.